I did a three year undergraduate degree at the National University of Malaysia, majoring in Conservation Biology and Ecology. I chose this major as soon I entered the university because in my opinion this course would give more opportunities to do more exploration and in my interpretation at the time was a way to have fun. After I finished my undergraduate degree, I received a scholarship from Boston University for my master’s degree. This is when my life started to be dominated by flying mammals called bats! Under supervision of Dr. Kingston (my field advisor at the time), I spent one and a half year living with bats in the deep rainforest of Malaysia. 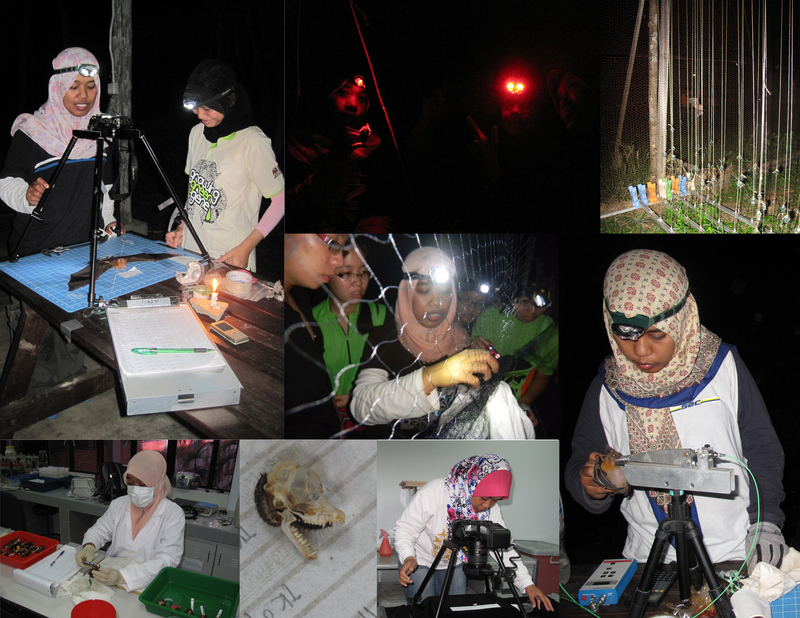 In the course of completing my fieldwork, I was involved in bat conservation projects conducted by Malaysian Bat Conservation Research Unit especially advising the volunteer team assigned to this project, assisting in awareness program and of course having fun! After I graduated, I choose to take some time off from school to work as wildlife research officer for the Department of Wildlife and National Parks, Malaysia. I loved my job because it gave me a lot of experiences even though sometimes I have a hard time, since there are a lot of challenges and obstacles in order to protect wild animals from going extinct. After two and a half years working for Department of Wildlife and National Parks, I transfer my services to university. I am now a faculty member in National University of Malaysia and at the moment, I am on study leave here at Texas Tech University. Currently, I pursuing my PhD degree with my research focused on ecomorphology, performance and assemblage structure of bats. 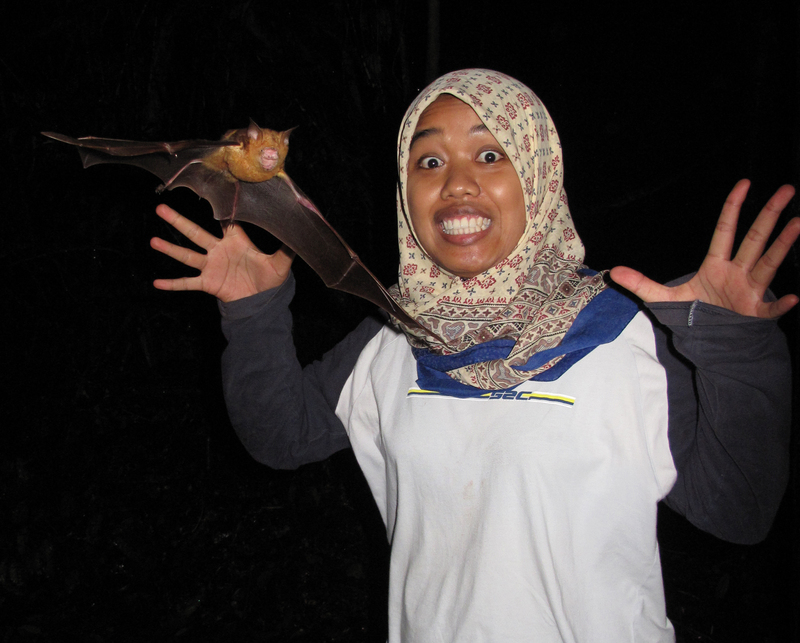 The goal of my research is to document the relationship between ecology, morphology and performance of insectivorous bats assemblages from Krau Wildlife Reserve, Malaysia. In my research, the main investigation focuses on two interrelated mechanisms of resource partitioning within insectivorous bat assemblages: 1) morphological variation in the craniodental structure of bats and bite force, and 2) variation in wing morphology and flight performance.